SAKE has been made for over 1300 years in historical culture and Japan’s unique climatic climate. Pairing food with sake is a great way to add an extra dimension to any sake experience. Sake is very versatile and goes well with most types of cuisine, but food pairing can still sometimes be a bit of a tricky art. 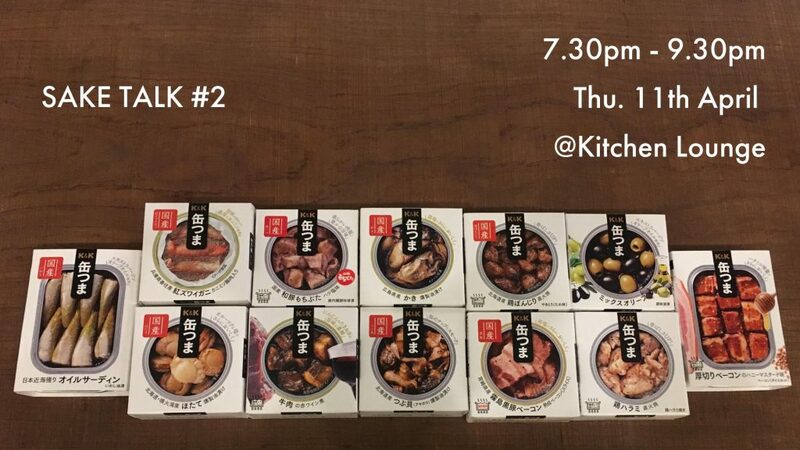 In this event, I will introduce you basic sake pairing tips and prepare various taste of sake and food arranged from Japanese special canning ‘Kan-tsuma缶つま’. Let’s find out your best sake paring! *Sake pairing : Over 12 patterns using 4-5 sakes. 2019 © SakeTokyo. Crafted with love by SiteOrigin.